Liver! It’s so great, I should really write a separate post about it. As in between 10-100 times more nutrient-dense than a piece of steak or a burger. It’s especially high in Phosphorus, Magnesium, Potassium, Iron, Zinc, Copper, Vitamins A, D, E, C, B12, Riboflavin, Niacin, Folic Acid, and Biotin. If you were going to eat one single protein for the rest of your life, I would dare to argue that it would need to be liver. If you are trying to conceive, are pregnant, or just had a baby, liver should be high on your list of priorities. But even if you’re not, if you’re like the rest of us you’re probably deficient in many of these nutrients, and liver would be very beneficial for you. Let’s be honest though, its gross. My mom likes her chicken livers sautéed with some onions. But it seriously makes me gag. 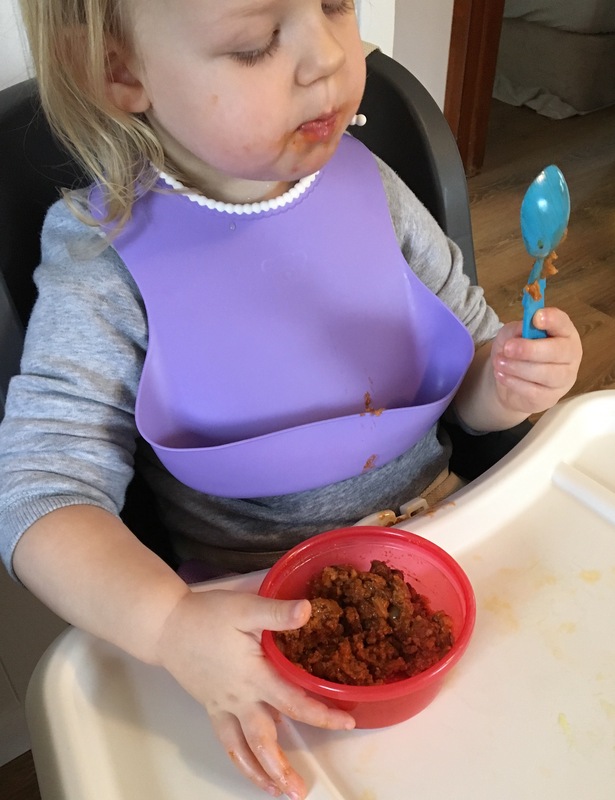 And it made my daughter (who was 12 months old when she tried it) gag too. And she likes SARDINES… and DOG POOP.. don’t ask…. but liver makes her gag. So, we need to hide it. 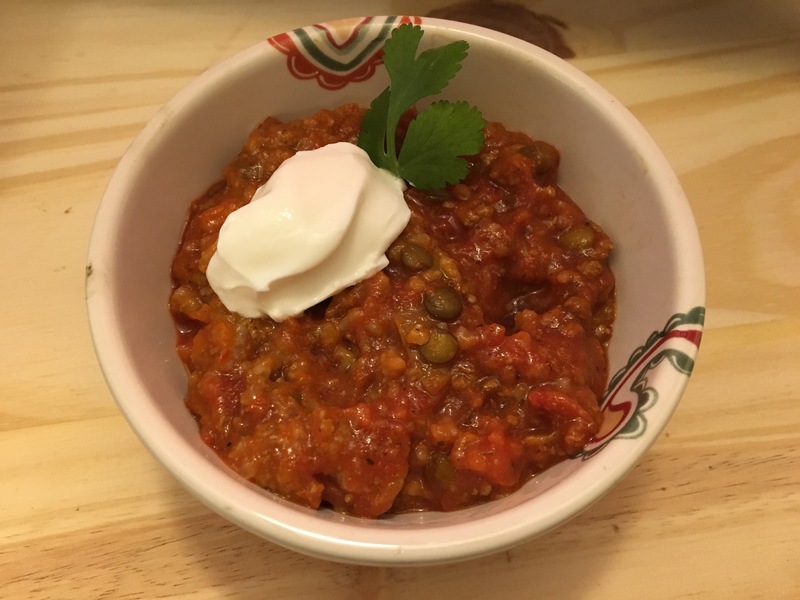 And what better way to hide it than in a flavorful bowl of chili. I don’t make this too spicy because my daughter eats it too. But if you like your chili spicy, please add more chili powder! The liver requires a little bit of prep. But you’ll only need to do it once for a couple batches of chili. 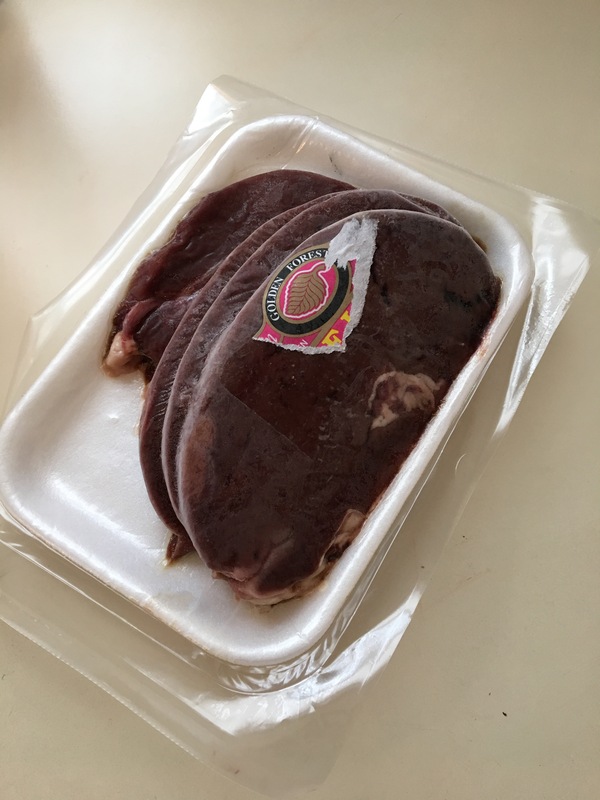 I bought 1 lb of calf liver. It’s what I could find in my grocery store, but beef and chicken liver would work just fine in this recipe too. Throw it in the food processor, and puree. It took my food processor a few minutes to do this, and I needed to scrape down the sides a few times. Eventually, I had a nice smooth “goop”. I took half a cup and used it for the batch of chili I was in the process of making. The rest I spooned into an ice cube tray, covered it, and stuck it in the freezer. One cube is approximately 1 oz. 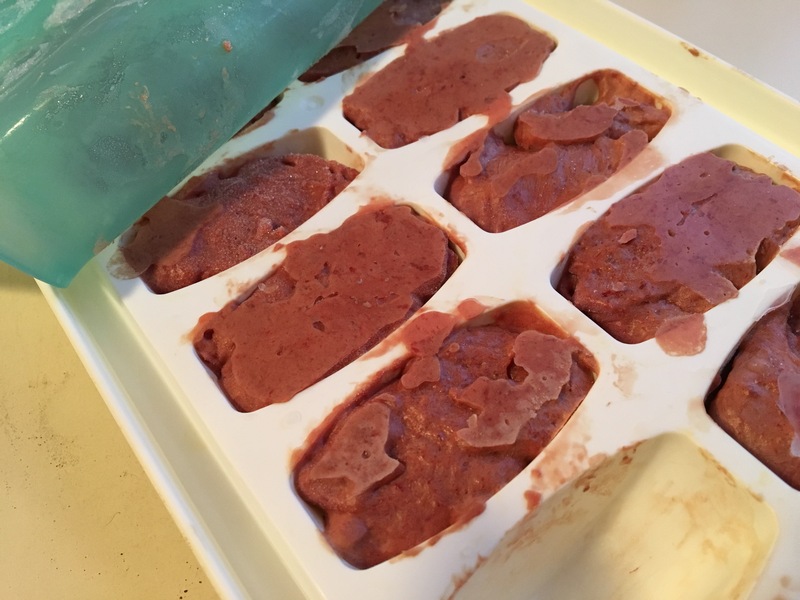 After it’s frozen, you can remove the cubes and put them in a Ziploc bag in the freezer, and grab a few each time you make chili (or any kind of marinara-sauce type dish). About 4 oz of liver a week will get you a good amount of the nutrients you need. That means that if you have a little bowl of this chili for lunch every day, you’d be all set! If that’s too monotonous for you, you could freeze half of it for later. My husband and daughter love this too, so I usually make a double batch, and I make it every week. We don’t get tired of it. 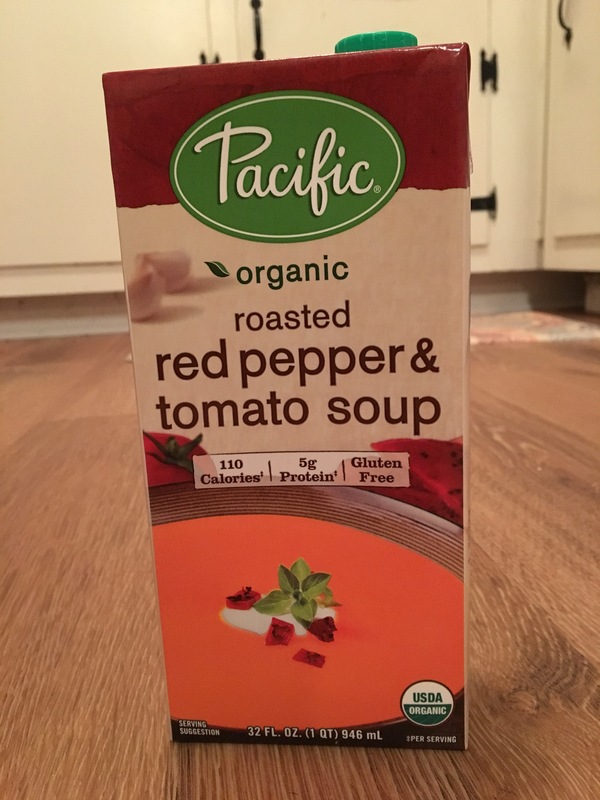 For the soup, you could use red pepper soup, tomato soup, or a blend like I have. It’d be great if it’s organic and doesn’t have added sugar. If all you have in the pantry is canned diced tomato, that works too. Just realize that you would probably need to add more of the herbs and spices. Also, if you like beans, go ahead and add them. 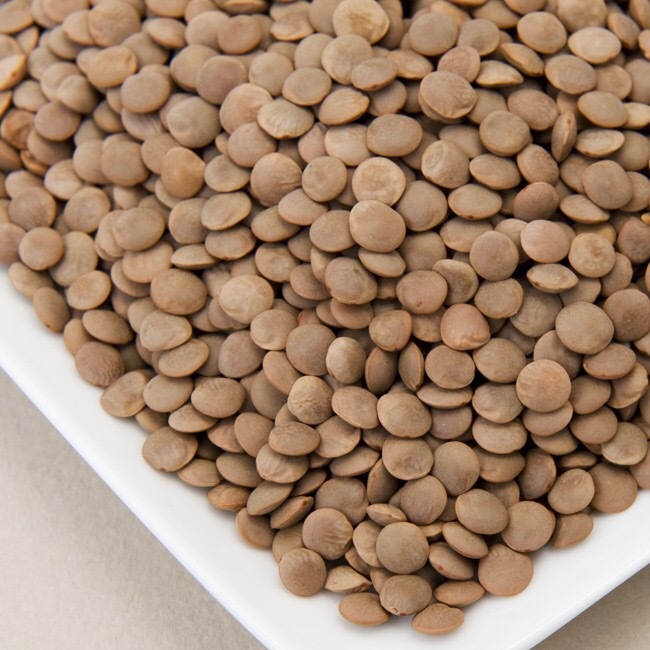 I’m just not a huge fan, but I LOVE lentils. Bring to a boil, and add the lentils. Do you ever eat liver? What’s your favorite way to prepare it?